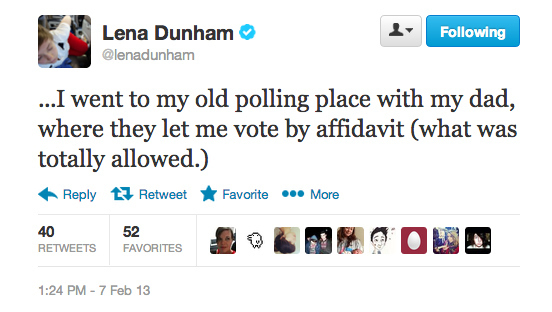 Lena Dunham, the co-creator of HBO's "Girls" and star of a controversial YouTube video for President Obama's reelection campaign, took to Twitter on Thursday to refute a report that claimed she didn't cast a ballot in the presidential election. 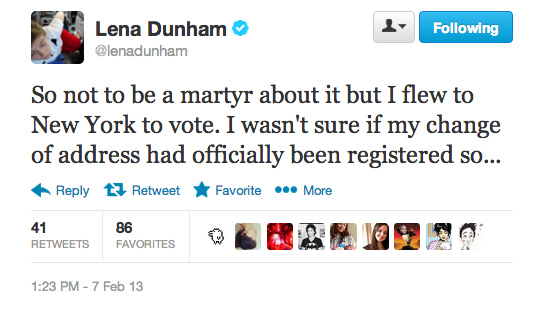 New York political blog Room Eight reported Wednesday that Dunham was registered to vote in Brooklyn but did not cast a ballot in 2012. 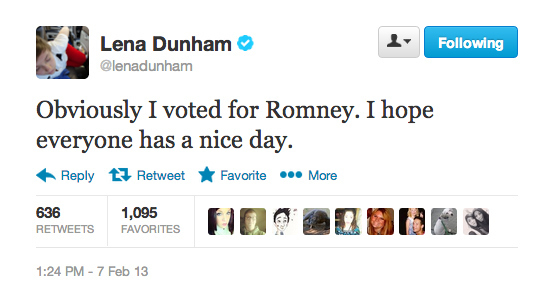 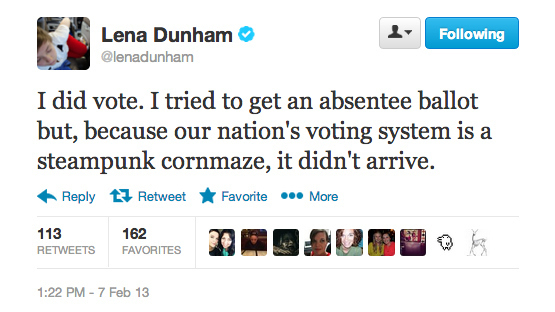 But, as Dunham explained on Twitter, trouble with an absentee ballot forced her to vote provisionally.